Inzwischen ist es nicht mehr unüblich, dass für Spiele ein Day-One-Patch erscheint. Bei Prey ist dieser zum Glück nur 1,3GB groß. In der Vergangenheit wurden immer wieder riesige Day-One-Patches hinter Spielen her geworfen, um größere Fehler zu beheben. Bei Prey wurden unter anderem die Sound Probleme aus der Demo behoben. Ebenfalls hat man die Frame-rate-Probleme behoben und auch ermöglicht, dass man das Voice Over nun auch auf Englisch umstellen kann. Die kompletten, englischen Patch-Notes könnt ihr unten lesen. Diese enthalten leichte Spoiler der Story, daher ist Vorsicht geboten. 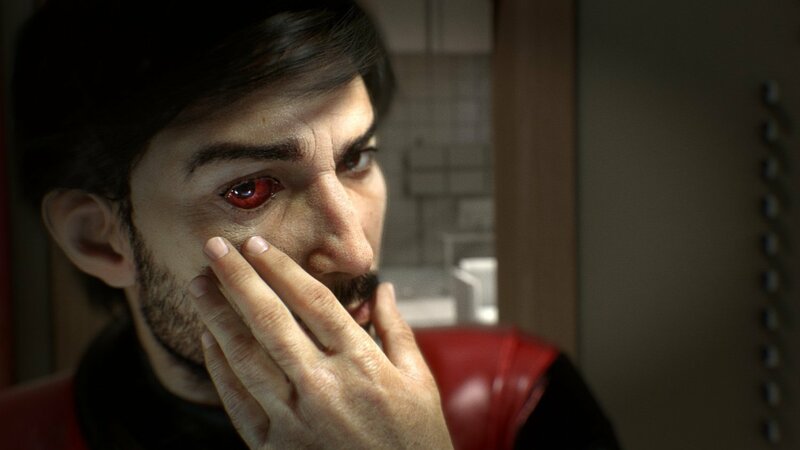 Unsere Review zu Prey ist jedenfalls schon im vollen Gange. Cystoids and Cystoid nests now react appropriately to fast-moving objects. Explosive containers will now explode when thrown at technopaths. Nightmare will no longer camp objects the player has turned into in front of it. Operators can no longer occasionally shoot through walls. AI adjusts for difficulty level more effectively. Multiple telepaths in an area no longer chain attacks on the player. Touching placed grenades while mimicked will no longer cause them to explode. Boltcaster can no longer cause zero-damage critical hits. Nullwave Transmitter now works on Apex tendrils. Technopath can now be hit by sneak attacks with the stun gun. Grenades are now affected by lift fields. Dropped weapons will now re-equip to favourites wheel when picked up. Recycler grenade damage now properly scales with difficulty level. Gloo Gun no longer loses functionality after placing too many gloo balls in a level. Various Fixes to Mimic Matter ability. Player can now open EMP’d doors with their leverage abilities. Backlash now properly prevents suit damage while active. Player’s attacks will no longer consume Backlash charges. Objects targeted by Lift field will be highlighted properly. Remote Manipulation can now be used to open most containers. Beam Shielding chipset now properly reduces damage from military operators. Updated Mimic Detection Gen 2 chipset description to include all mimic types. Military operator effects fixed for first-person view. Players are now affected by electric floors/water while jumping. Telepath will no longer knock player out of the world in Crew Quarters. Player will no longer fall out of the world when gravity is restored when they’re upside down. Players can now carry destroyed operators properly in Zero-G.
Hacking minigame will now properly display what object is being hacked in the UI. Players can now split stacks when looking at container inventories. Various fixes to behaviours when player mimics an operator. Localised versions of the game now support switching VO to English. Killing Mikhaila with the Q-Beam now only counts as one human killed. Quickload loads the most recent save of an type, not just auto-save. Addressed several frame rate bugs. Various mission and objective marker fixes. Various localised text and audio fixes.